Ladies and gentlemen, this is the all-new 2018 Audi Q5. Like the recently unveiled Audi A5, the exterior design of the new Q5 is more of an evolution than a revolution, as the majority of it looks similar to its predecessor. 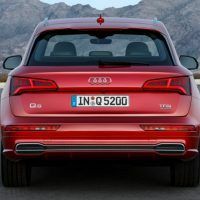 Many consumers might initially confuse the new-gen Q5 as a mere facelift since the new car’s side profile and rear end look almost identical to the current Q5. 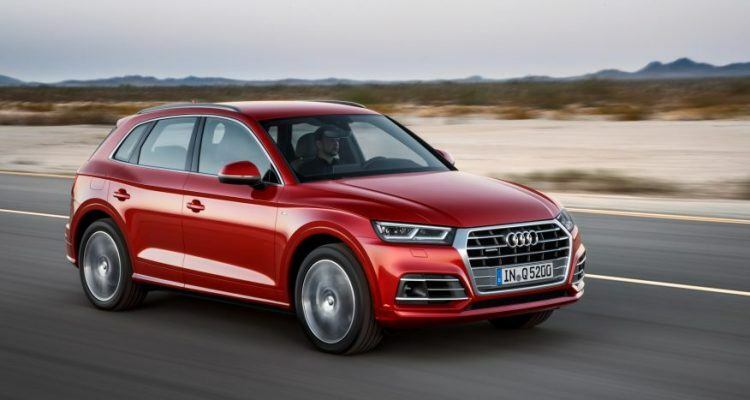 However, with the Q7-inspired grille, LED headlights, and the bulging front fenders which flow smoothly into the hood, the 2018 Audi Q5 has a refreshed look. 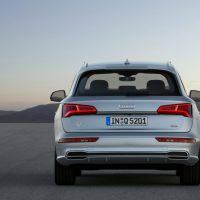 Since the new Q5 shares its underpinnings with the new A4 and A5, Audi estimates the crossover now weighs almost 198 pounds less than its predecessor. Compared to the current model, the 2018 Audi Q5’s wheelbase increases by a half-inch, and the overall length stretches by 1.3 inches. Rear seat legroom grows by 0.4 inches as a result of the extended wheelbase. Audi also claims that cargo space behind the second row seats has increased as well. 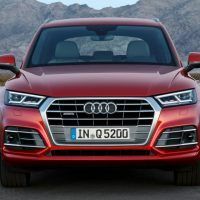 Audi will offer the new Q5 with multiple powertrains in global markets, but the U.S. Spec Q5 will be available with only a 2.0 L turbocharged four-cylinder engine initially. It creates 252 horsepower and 272 lb-ft. of torque. 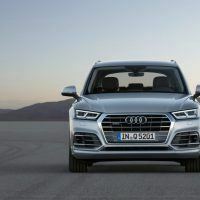 The engine is paired to a new seven-speed dual-clutch automatic transmission that directs power via Audi’s latest Quattro Ultra all-wheel-drive system. The new Quattro system no longer uses a center differential. Instead it uses two clutches to distribute torque front-to-back. With this new setup, the Q5 will be able to disengage power to the rear wheels when it is not needed, thus reducing drag and improving fuel efficiency. Audi will unveil a more powerful SQ5 at a later date in 2017. Like the S4 and S5, the SQ5 will be powered by a 345 horsepower, 3.0 L turbocharged V6 engine with a “hot vee” design, which features a single twin-scroll turbocharger between the cylinder banks. The interior of the 2018 Q5 has high grade materials and exceptional build quality, something Audi is known for. An analog gauge cluster is standard, but consumers can upgrade to Audi’s 12.3 inch Virtual Cockpit LCD screen. An 8.3 inch, center-mounted infotainment display with MMI touch is optional, and can recognize handwriting and common gestures like pinch and zoom. As of this writing, Audi has yet to announce pricing for the U.S. Spec 2018 Q5, which will be built in a new plant in San Jose Chiapa, Mexico. The current Q5 has a base price of $41,850 and when the 2018 model arrives sometime next year, we expect the price will not change much. 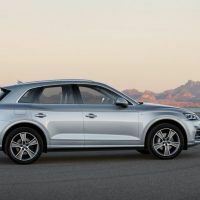 1 Comment on "First Look: 2018 Audi Q5 (Euro Spec)"